"The Reconnections program has more than exceeded my expectations. My husband looks forward to the program every week. He is up early, studies the program for the day and waits until we leave to go at 10:15. He loves the variety in the programs including history, art, music, bird watching, sports, and the news of the day, and occasional field trips. He has made friends with other members of the group and looks forward to seeing them. The program fills a need to enrich his life with new friends and learning experiences. When he returns home, and I ask him how the day was, he invariably says 'good.' I am so pleased that he has this opportunity." Questions about the Reconnections program? 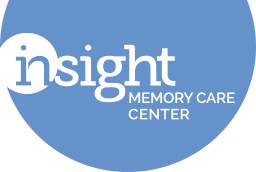 Take a look at our website or contact Paula Riddle at 703-204-4664 or paula.riddle@insightmcc.org.